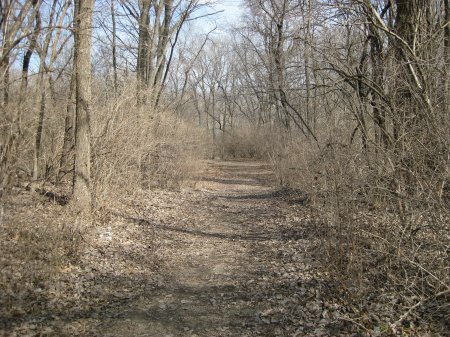 Directions to Stop #3: Walk along the path up the hill until you leave the wooded area covering the river bank. You should be standing near a concrete marker for the Byram's Ford Historic District. The walking tour marker for this stop is missing. This tour stop is located in Kansas City, Missouri 64132. 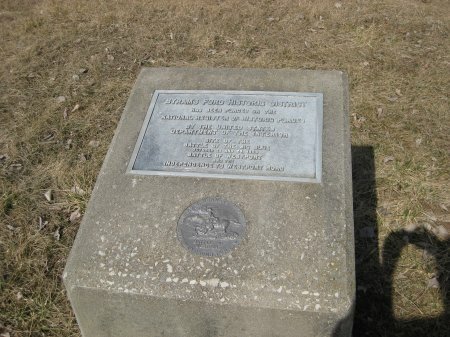 Description: The third stop on the tour places you approximately where Union Colonel Charles R. Jennison placed Barker's Battery to defend against the Confederate crossing. Jennison was commander of the First Cavalry Brigade of the Army of the Border. Look back towards the river and you can see how this position commanded the approach from Byram's Ford.